Taylor Woodrow and Network Rail’s Crossrail West Stations (CWS) project team has partnered with local all-girls school Notting Hill and Ealing High School (NHEHS) to support a team of six of their sixth-form students through the Engineering Education Scheme (EES). As part of EES, CWS project team provided the NHEHS team with a real-world engineering problem which forms the basis of the girls’ six-month EES project, allowing all students the opportunity to apply for a BA Crest Award at Gold Standard. 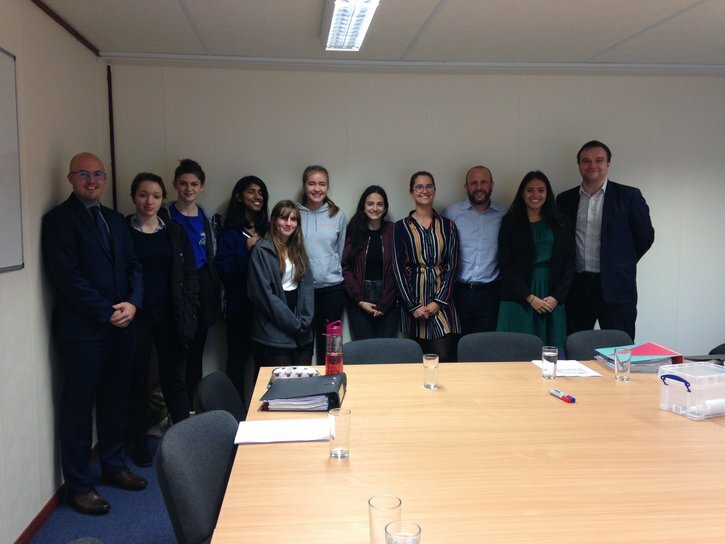 After meeting Taylor Woodrow employees in preparation for a women in engineering presentation at the school, Notting Hill and Ealing High School Acting Head of Physics Joshua Schneider approached Crossrail West Stations project team about sponsoring the students through the EES. “My sixth-form Physics class is very excited to be part of the Engineering Education Scheme – we had enough girls for two teams! – we’re looking forward to working with CWS throughout the year,” Joshua said. The scheme is currently running and will end with a Celebration and Assessment Day (around Easter time) where the project team and NHEHS will be joining other schools and employers who have participated in EES.